Do you sometimes get into a dinnertime rut and find yourself making the same thing over and over? Maybe you just need a little inspiration or maybe you are just way too busy and can’t find the time to create new menus. 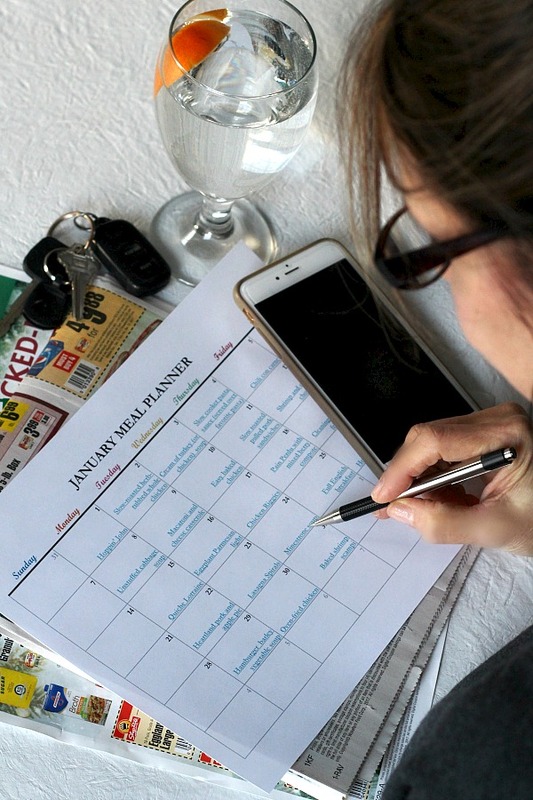 You can save time and money following a meal planner. Make January easier with these suggestions for wholesome, delicious and homemade dishes you and your family will love. Above is just a photo of the meal planner. Download (below) for a version with clickable links to every recipe. 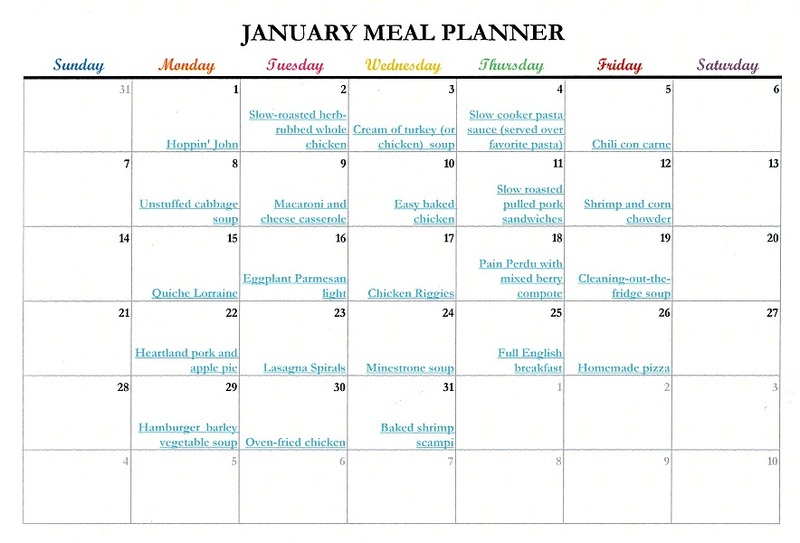 Use this meal planner whatever way works best for you. Follow each week of meals as suggested or change it up by substituting some of your favorite dinners. 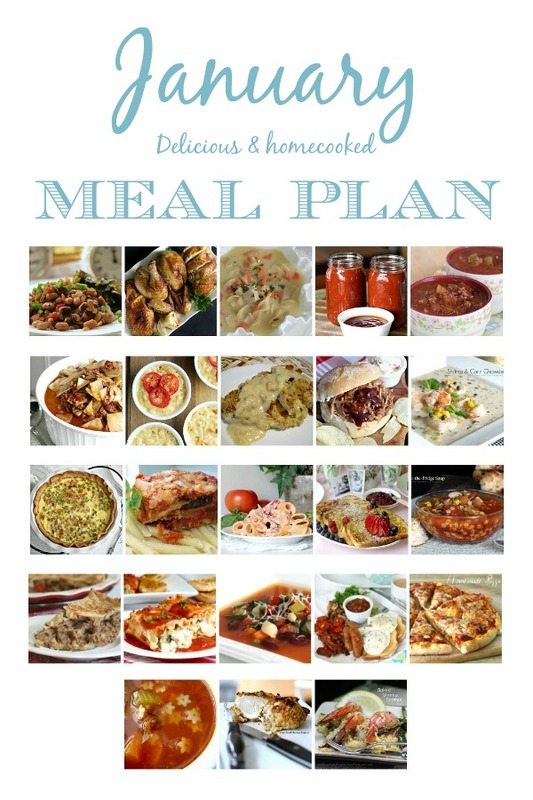 You will find a home cooked recipe for five meals per week. That’s because I seldom make more than five recipes each week. I serve at least one meal of leftovers and we occasionally eat out for a meal. You might, as I like to do, purposefully plan for leftovers by doubling a recipe for freezing or using leftovers to serve later in the week. Clicking the link(s) below will take you right to the recipe post. Or, download the PDF (below) with the recipe links to use right from your phone or tablet. Print out a copy and place on the fridge to refer to through the month, if you’d like.